With his gigantic mouse mask, deadmau5 (real name Joel Zimmerman) has been a key figure in the EDM revolution of the past decade. Purveyor of immersive, heart-pounding electronica, that now sees him headline music festivals worldwide, he has six Grammy Award nominations to his name and has over the course of his career collaborated with the likes of Kaskade, MC Flipside, Rob Swire of Pendulum, Skrillex, and Steve Duda. This year sees him bringing his new creation, a technological stunning cube setup, to the road on his Cube V3 tour. The upcoming performance is said to be so complex and large that it can only be housed in large stadiums and arena settings! You'll get the chance to see mind-blowing visuals, mechanisms rotating 360 degrees, and deadmau5's custom touch designer system. This is a tour you don't want to miss! 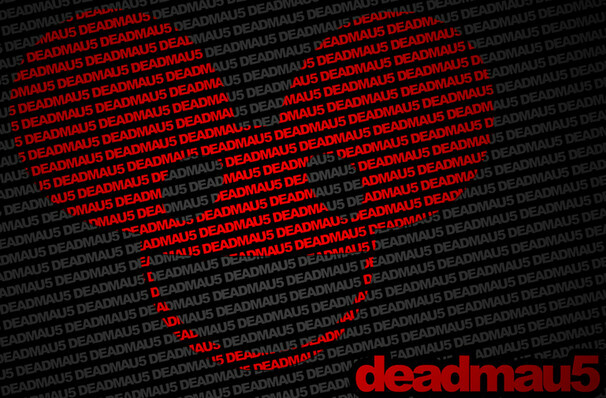 The name deadmau5 originates from an incident where a mouse crawled into his computer and died. He then posted on an internet forum of his shenanigans, and the members began calling him TheDeadMouseGuy. Dead Mouse was too long for an IRC login name, so he abbreviated it to 'deadmau5'. Seen Deadmau5? Loved it? Hated it? Sound good to you? Share this page on social media and let your friends know about Deadmau5 at Red Rocks Amphitheatre. Please note: The term Red Rocks Amphitheatre and/or Deadmau5 as well as all associated graphics, logos, and/or other trademarks, tradenames or copyrights are the property of the Red Rocks Amphitheatre and/or Deadmau5 and are used herein for factual descriptive purposes only. 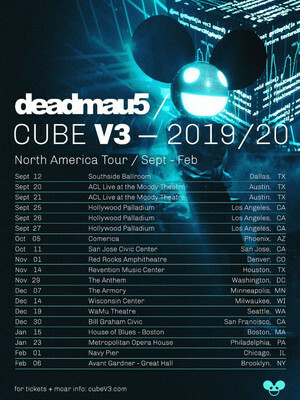 We are in no way associated with or authorized by the Red Rocks Amphitheatre and/or Deadmau5 and neither that entity nor any of its affiliates have licensed or endorsed us to sell tickets, goods and or services in conjunction with their events.